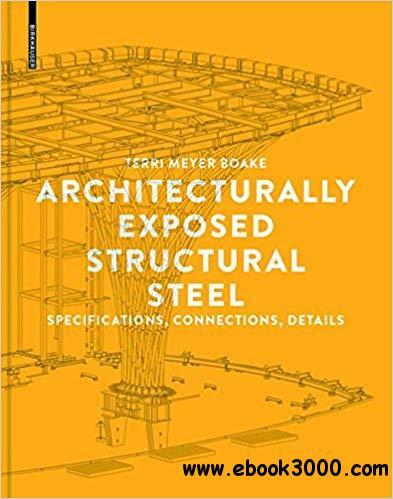 This book provides the means for a better control and purposeful consideration of the design of Architecturally Exposed Structural Steel (AESS). It deploys a detailed categorization of AESS and its uses according to design context, building typology and visual exposure. In a rare combination, this approach makes high quality benchmarks compatible with economies in terms of material use, fabrication methods, workforce and cost. Building with exposed steel has become more and more popular worldwide, also as advances in fire safety technology have permitted its use for building tasks under stringent fire regulations. On her background of long standing as a teacher in architectural steel design affiliated with many institutions, the author ranks among the world`s best scholars on this topic. Among the fields covered by the extensive approach of this book are the characteristics of the various categories of AESS, the interrelatedness of design, fabrication and erection of the steel structures, issues of coating and protection (including corrosion and fire protection), special materials like weathering steel and stainless steel, the member choices and a connection design checklist. The description draws on many international examples from advanced contemporary architecture, all visited and photographed by the author, among which figure buildings like the Amgen Helix Bridge in Seattle, the Shard Observation Level in London, the New York Times Building and the Arganquela Footbridge.